Sunnen's specially formulated and tested honing oils and coolants optimize the bore sizing performance of both plated and abrasive stone tools. These fluids cool the workpiece and flush chips from the work zone. Filters are designed to remove contamination from the coolants in various micron levels to ensure consistent bore sizing performance. 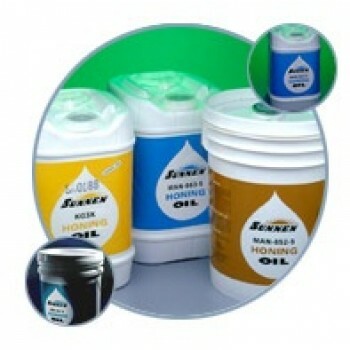 Contact us for further information regarding which honing fluid will suit your application.